Marsh Marigolds flowering at the beginning of February! Sunday 5th February and I took a walk down to our farm turbine to check that it was still secure after all the winter gales. Our pup Ollie loves to run free in the fields at this time of year when there are no cattle out. 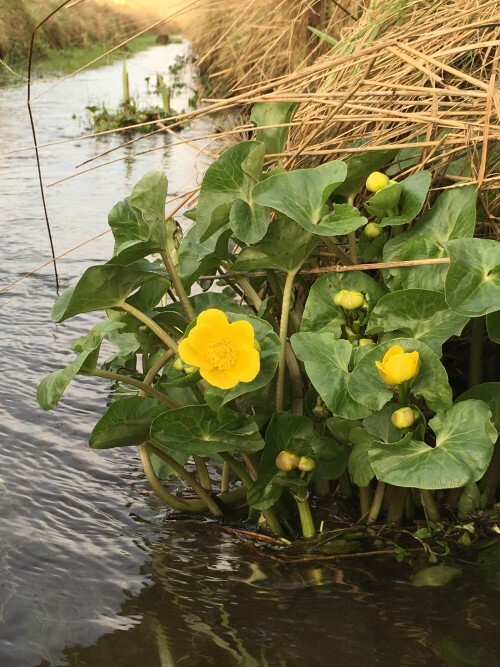 I took a look down the water course which runs down from the hill and through the farm down to the Loch of Isbister and could not believe my eyes when I saw Marsh Marigolds flowering. They are not usually seen until April/ May. I decided to get a photo and ended up in the ditch with pup following and a welly boot full of water! We have snwodrops, crocuses and miniature daffodils out so spring is definatley round the corner. The cows are calving and the farmer is out fencing. Perhaps we should not get too excited as there will still be many storms and snow to come! 15th October for 5 nights only £300! We have 5 nights available in our luxury apartment, Kringla 3 from Saturday 15th October. The apartment is a lovely warm homely place to return to each evening after seeing all the sights. Harvest time can be a beautiful time to visit Orkney with golden fields, glorious sunsets and a chance to see the Northern Lights! However it can also be cold and wet and windy so take plenty warm waterproof clothes! 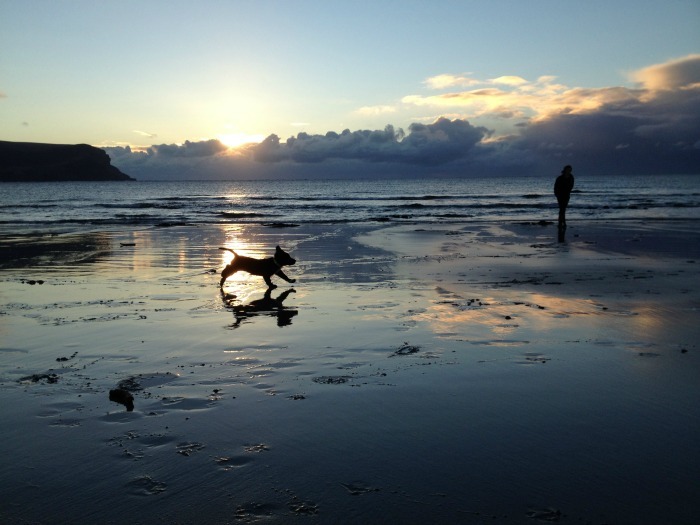 Are you looking for a last minute holiday in Orkney? We have had a busy summer and now have a few weeks available before the end of the season.